Sheriff Favro retired from the Plattsburgh City Police Department, after 20 years of service, in 2002 as a Detective. His last 13 years with the police department were spent in the Juvenile Division working with many schools, organizations, families and youth in Clinton County. After being elected Sheriff in November 2002, he sought out Jerry P. Maggy, a 30-year veteran of State Corrections, to be his Undersheriff. 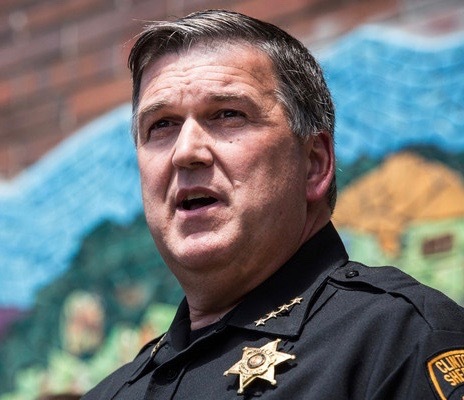 Sheriff Favro is credited with starting the D.A.R.E Program for the City of Plattsburgh in 1990, and with assisting the Clinton County Sheriff’s Office with the start of their program. Sheriff Favro attended the Mount Assumption Institute. He received his Associate Degree in Criminal Justice from Clinton Community College and his Bachelor’s Degree in Community/Human Service from Empire State University. Sheriff Favro received several community and state acknowledgments, such as Juvenile Officer of the Year and Citizen of the Year. He is a past President of the State of New York Police Juvenile Officers’ Association. He has served on the Clinton Community College Board of Trustees and is a past board member of Plattsburgh YMCA. Sheriff Favro is co-founder, director and seven-year coach of Plattsburgh PAL Football and a member of the Fraternal Order of Police Lodge 999. The Clinton County Sheriff’s Office has undergone many changes, including construction of a major addition to the local jail with 160 new beds, program space, training rooms, and a kitchen. This 23 million dollar project was completed in 2006.